Recent message from Buckhead Church can be viewed here. You can purchase audio from Focus on Family interviews here. Thank you so much for your interest! I LOVE to speak to parents about making virtues, love and laughter a daily part of your family life. I love to encourage women on friendship and lighting up the world. I also love to connect with business women to talk about leadership, products and marketing. But I love my family more. My travel is limited right now – but feel free to fill out the request for more information. “Hearing Courtney DeFeo give a message is like connecting with a dear, beloved friend you haven’t seen in years and discovering a new dynamic and practical speaker all at the same time. 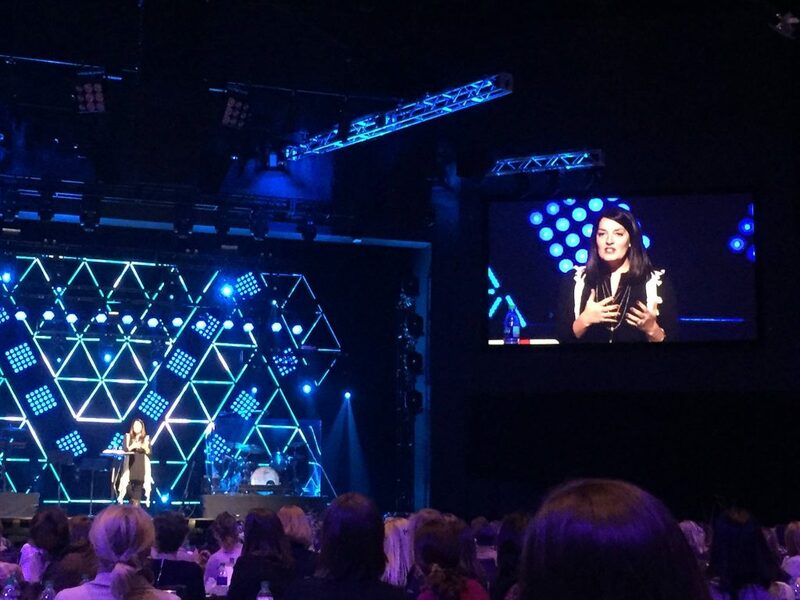 She has a knack for connecting instantly with an audience, making them feel comfortable and important while presenting truths of scripture that will impact their life and warm their soul. Her warm, encouraging, girlfriend style draws people in, enabling real life change to occur that will greatly impact a women’s walk with God. Highly recommended!” – Karen Ehman, New York Times best-selling author, Proverbs 31 Ministries speaker, and director of the Speaker track at She Speaks Conferences.